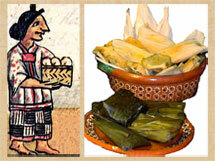 - tamales (pic 2), Mexico’s (and the world’s?) original pack lunch: maize dough shaped into balls, often with beans, chiles or meat in the centre, wrapped up in maize leaves and steamed in a large clay pot. Carry them with you anywhere, then just... unwrap and enjoy! STAPLE FOOD NO. 2 - and served at every meal - were beans. 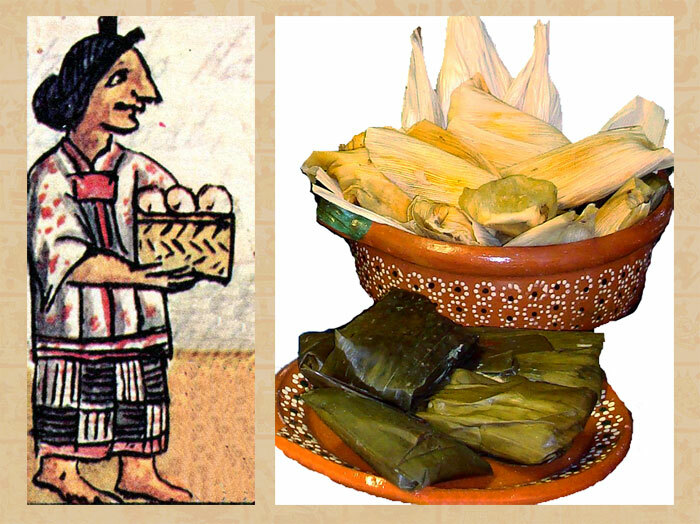 Somehow, over thousands of years, ancient Mexicans learned that the combination of beans and lime-soaked maize provided a complete protein source (to rival our animal sources). ‘I told you so!’ says Sir Little Bean and Sir Big Bean [their real names!] 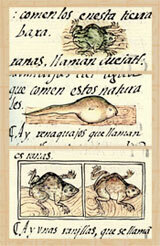 in this codex picture (pic 3). STAPLE FOOD NO. 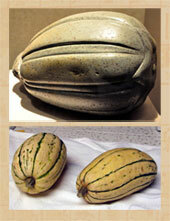 3 would be squash (think pumpkin) (pic 4) - grown in Mesoamerica for almost 10,000 years. And JOINT NO. 4 would be seeds of chía grain (think sage) and the amaranth plant - ground on the metate stone and eaten in several ways (bottom line - porridge); amaranth dough was shaped into small god figurines and eaten on ritual occasions. fish! 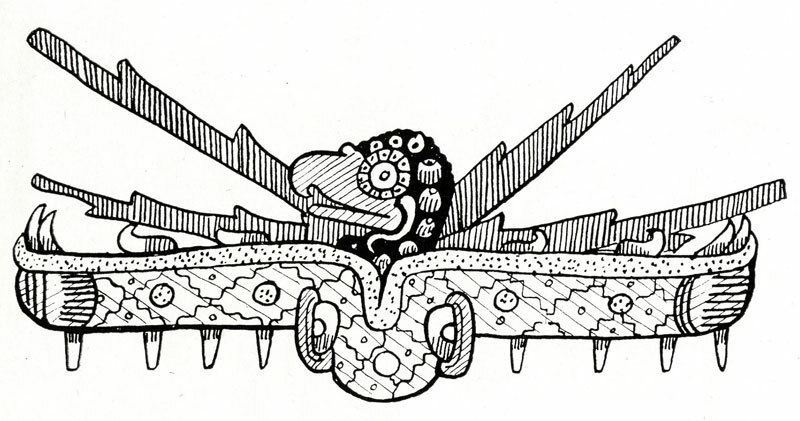 and insects! 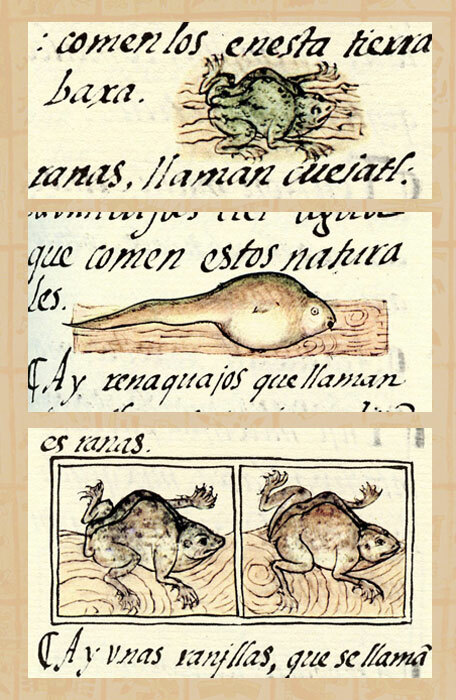 Everything from mollusks, turtles, salamanders, frogs, crustaceans, shrimps, mole lizards and water bugs of all kinds to tasty and high protein ants, grasshoppers, maguey worms and spirulina (algae that were ‘creamed’ off the lake water surface and made into super high-protein cheese-like loaves). 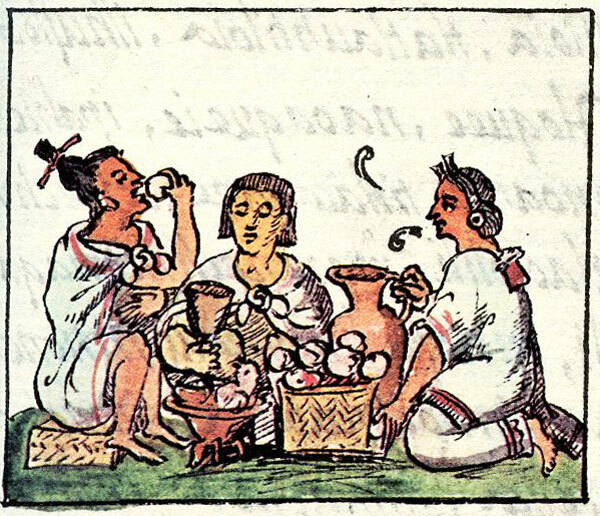 Finally, the Mexica ate over 30 different species of birds: after turkeys and ducks came geese, cranes, pelicans, pheasants, partridges, pigeons, and a real favourite for nobles - quails (pic 8). 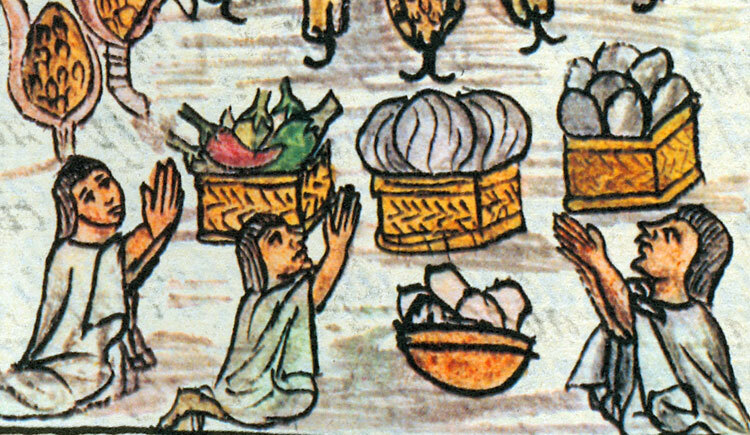 You might be thinking ‘Wow, the Aztecs must have had a pretty rich diet!’ What we haven’t mentioned is that most ordinary Aztecs could only afford/get their hands on a few of what’s listed above, very rarely eating meat, for a start. Though maize was generally harvested most of the year round, famines were common, causing widespread suffering. Q. What did the store keeper say to Sir Little Bean, jumping up and down, when he saw him approach the store? A. You’re in luck, we’re full of beans today! Hi. Very interesting site! Who made the food? Was is only women? Housewives? Or perhaps trained chefs? 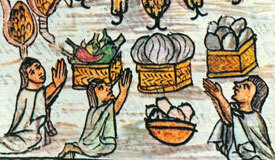 How did you learn to cook when you was an Aztec? 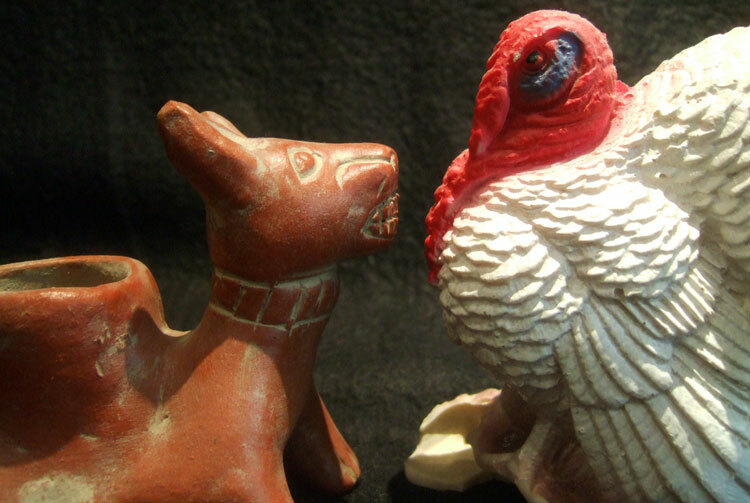 Mexicolore replies: Your face is cringy!